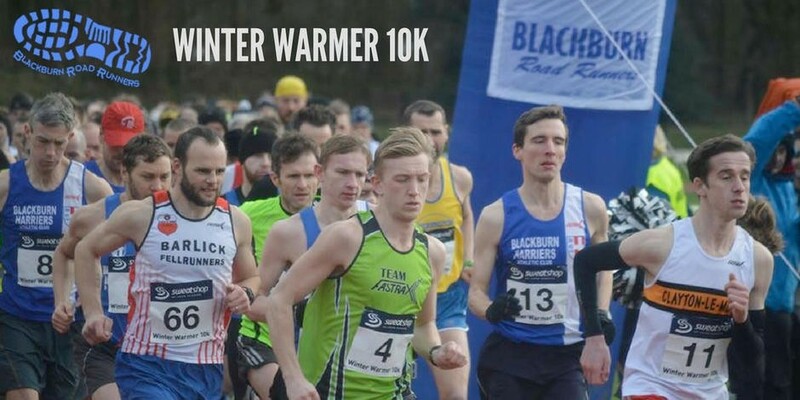 Blackburn Road Runners are once again hosting their annual 10k run starting and finishing on the athletics track at Witton Park Arena, Blackburn. The race climbs the heights of Buncer Lane, then descends through the countryside at Pleasington then back through the park for a racing finish on the track. The Road Runners pride themselves on the support they give to runners of all abilities and stages of their running careers. In recent years Blackburn has experienced a running renaissance with over 4000 people taking on the Couch to 5k plans, some of whom have gone on to join the Blackburn Road Runners and undertake any events including marathons. The Mayor and Mayoress of Blackburn with Darwen, Councillor Colin Rigby OBE and Councillor Jean Rigby will be their to kick start the races and to encourage the runners as they sett off. Every runner gets a great goody bag featuring amongst other items a bespoke drawstring bag, unique porridge bowl, and superb medal to commemorate the challenge. There is also a 2k junior run for the younger runners who all receive a fantastic medal, money box and get to meet Milo the Road Runner’s friendly mascot who always accompanies the children. For the first year there is a team prize for the first running club with ten entrants home meaning runners of all abilities have the chance to achieve a spot in the prize giving ceremony. For 2018 the famous homemade cake stall returns raising money for our club’s chosen charities for 2018 – the East Lancashire Hospice & Alzheimer’s Society and runners can enjoy a sports massage It’s all made possible local sponsors; MGS Technical Plastics, Crown Paints, Bridgfords, Blackburn with Darwen Council’s Regency Fitness, Forest UK, Great Harwood Windows, Livewire Systems, JLR combustion engineering and team prize donation by Michael Spencer.